TORONTO, ON. 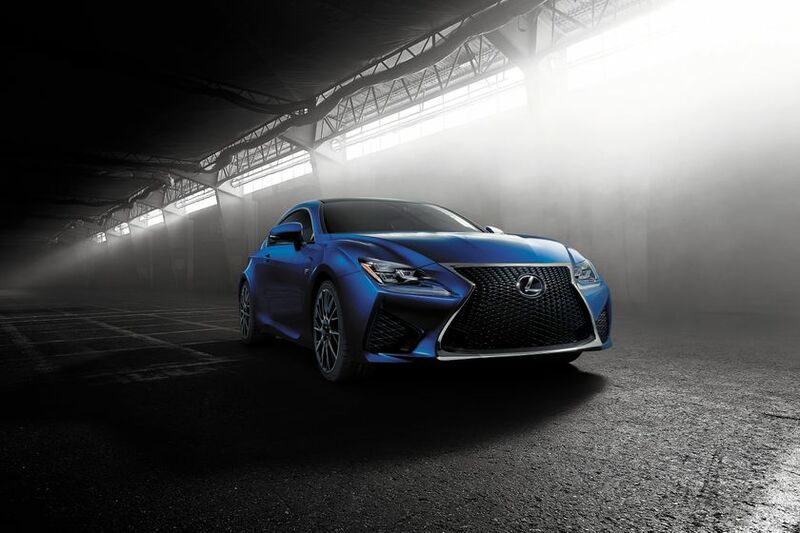 (Jan. 8, 2014) – Giving new meaning to “back to the grind,” the daily commute is now transformed into a day at the track with the all-new Lexus RC F. The RC F coupe is styled to support the most powerful V8 performance car ever developed by Lexus. Based on the spectacular all-new RC coupe that was revealed at the Tokyo Motor Show last November, the RC F has wider wheels and tires, an active rear wing, air scoops, cooling ducts and available carbon fiber components, each delivering uncompromising grit to the driving experience. The signature Lexus spindle grille dominates the front of the RC F, with a subtle “F” motif embedded in the mesh below the Lexus symbol. As well, the bonnet is higher than that of the RC and it helps create a powerful flared profile suited to an F model. Ducts beneath the front bumper and fenders and strategically placed aerodynamic stabilising fins create a stance which further identifies the F model. Air outlets at the rear of the front fender form the shape of an L when they merge with side sill extensions, while stacked trapezoidal quad-outlet tailpipes at the rear add further aggression. 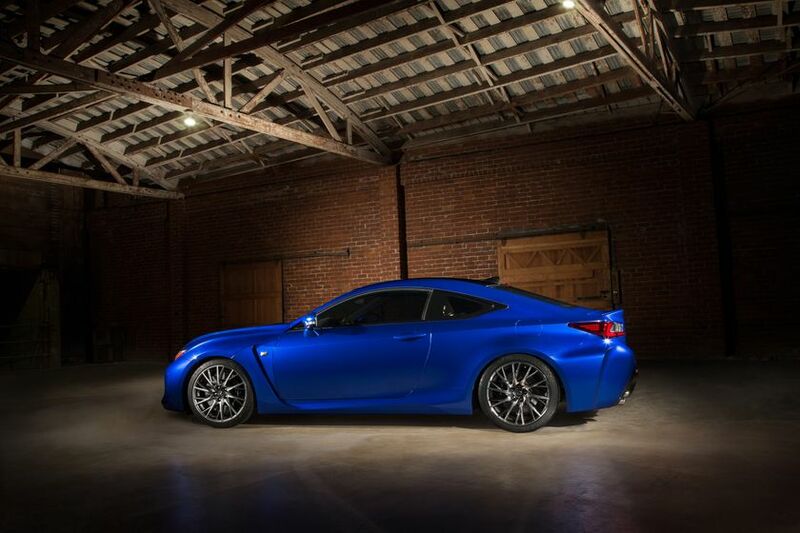 The RC F has taken design cues from the Lexus supercar LFA. 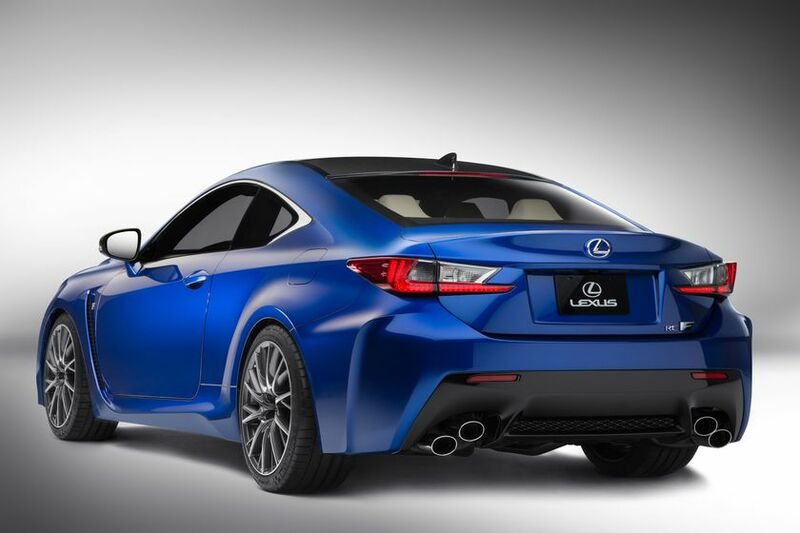 An active rear wing deploys from the RC F’s deck at 80km/h and retracts at less than 40km/h to enhance the coupe’s lines at standstill. Variations of 10-spoke 19” forged aluminium wheels are available by grade. Occupant comfort is all important. 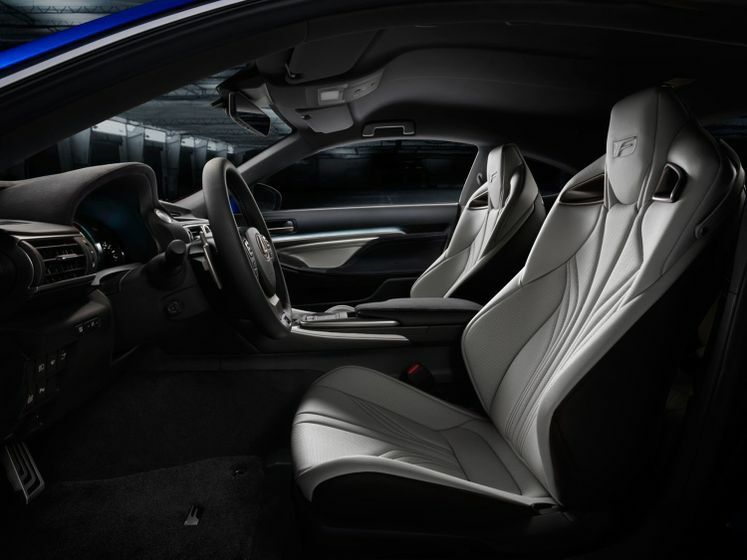 RC F debuts a Lexus-first elliptical cross-section thick-grip steering wheel with optimum placement of paddle gear shifts while all-new high back seats with an embossed F on the headrests have been styled to resemble tight-fitting athletic sportswear and to offer similar levels of support. 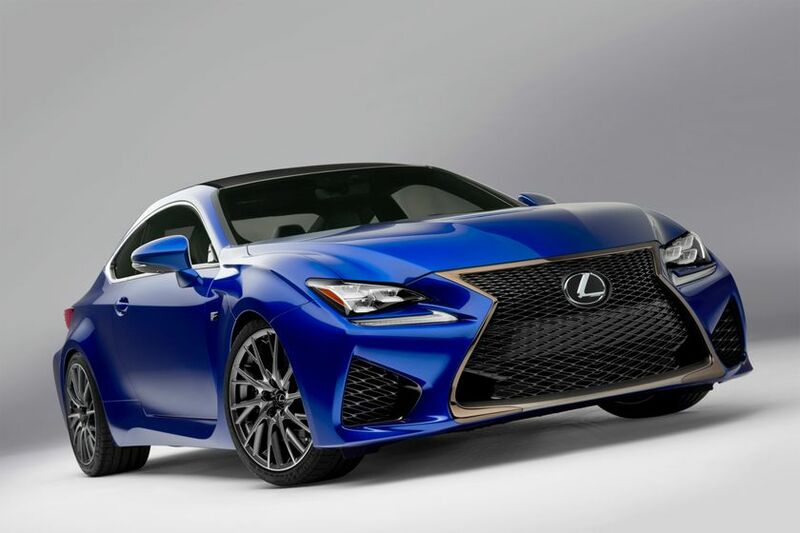 The all-new RC F will be revealed at a press conference at the 2014 North American International Motor Show in W-152, formerly known as the Riverview Ballroom, at Cobo Center Jan. 14 at 8:45 am EST. The Lexus press conference will also be streamed live online at www.lexus-int.com/. Follow the hashtag #AsphaltUp for more developments.